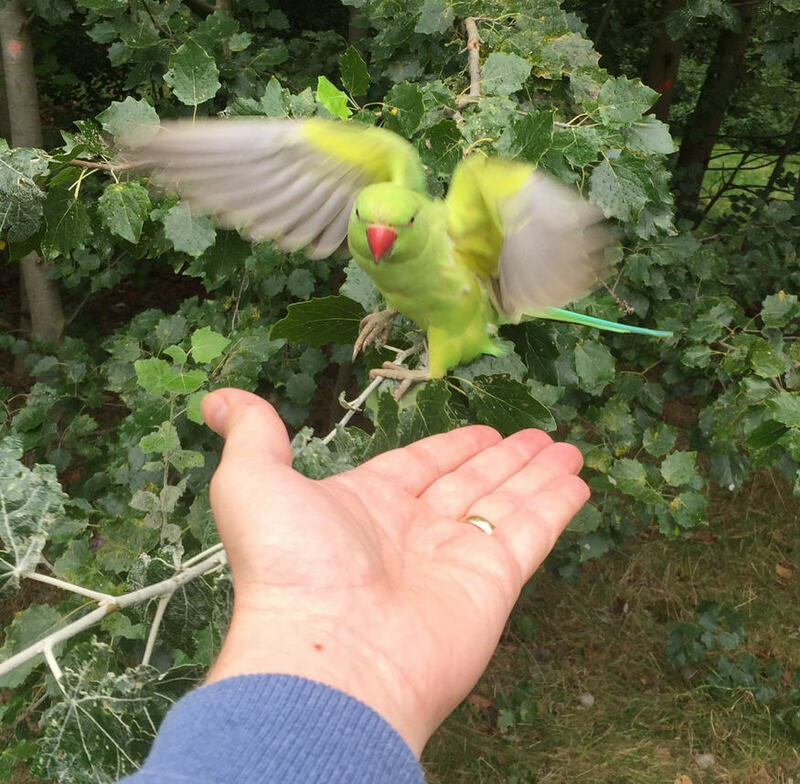 A new book goes in search of London's greenest inhabitants: the wild parakeets. Author Nick Hunt and photographer Tim Mitchell didn't have to look far. The ring-necked parakeet is now a familiar sight all over London. I know. I've had them land on my head. But how did they get here? Theories include an escape from a film set, or the deliberate release on Carnaby Street by a stoned Jimi Hendrix. Whatever, the birds have been here for decades, and now flock in huge numbers. Nobody has ever got to the bottom of the mystery, and neither do Nick and Tim. Instead, they spend this delightful book interviewing random Londoners about their connections to the birds. The emerald squawksters, we learn, mean different things to different people. Some love the exotic splash of colour; others abhor the birds' bolshy behaviour. The parakeets are maligned as noisy, dirty immigrants, taking the food and nest sites of indigenous species, and providing an easy metaphor for casual racism. Artists and novelists admire the birds for their striking otherness. This 'adventure in gonzo ornithology' — Fear and Squawking in West London, if you will — is a cheery, chirpy read with flashes of brilliance to match the avian subjects. We're still no closer to understanding where the birds came from, but we can now at least add 'George Michael's secret aviary' to the pile of ridiculous origin stories. 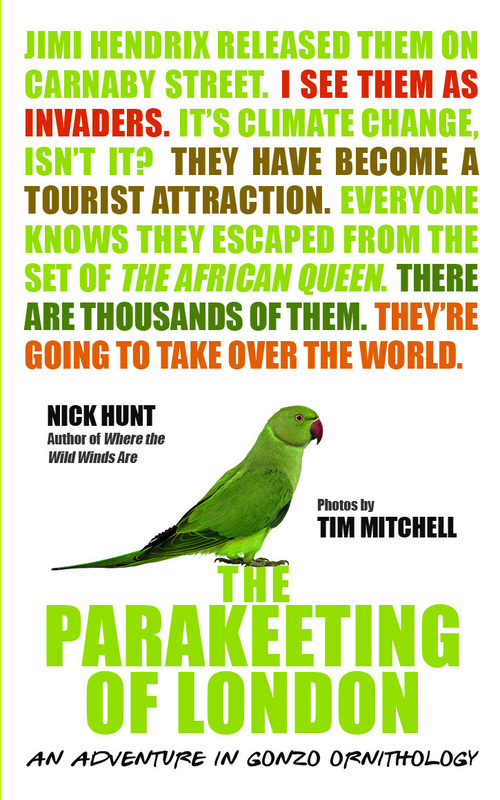 The Parakeeting of London: An Adventure in Gonzo Ornithology by Nick Hunt and Tim Mitchell is published by Paradise Road. Get it from one of London's independent books shops, or direct from the publisher. Book launch 10 April 2019.